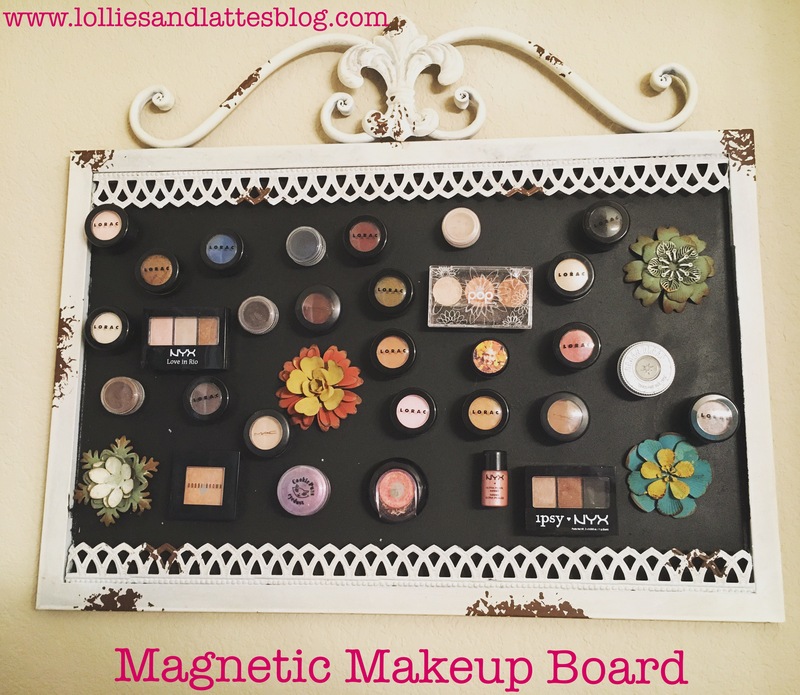 Lazy Girl Eyeshadow Storage Craft Time… and Life Update! 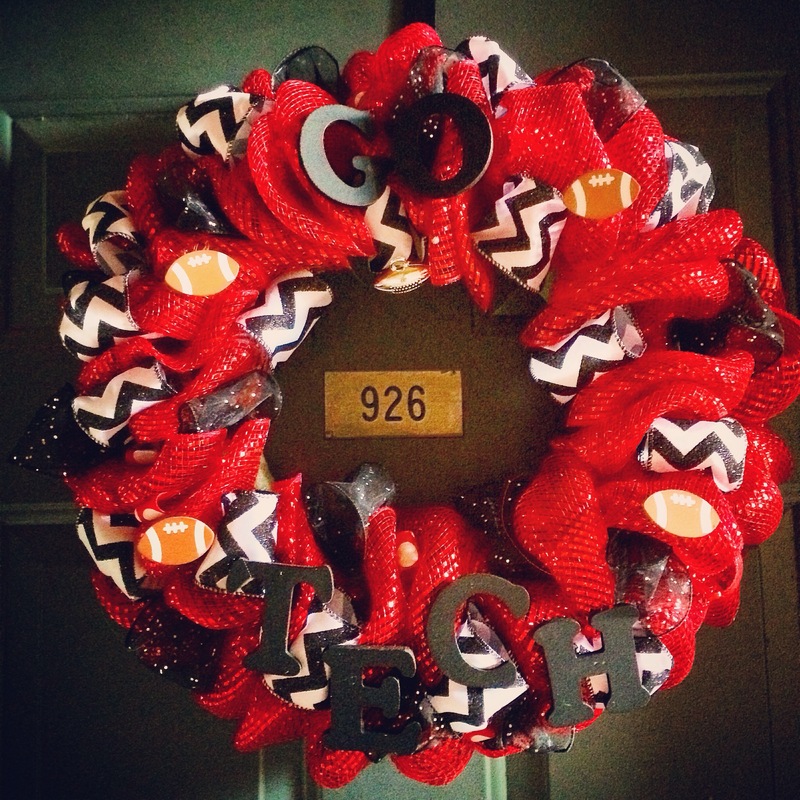 Last year I had a hankering to do some fall crafting, so I decided to make a Texas Tech wreath. 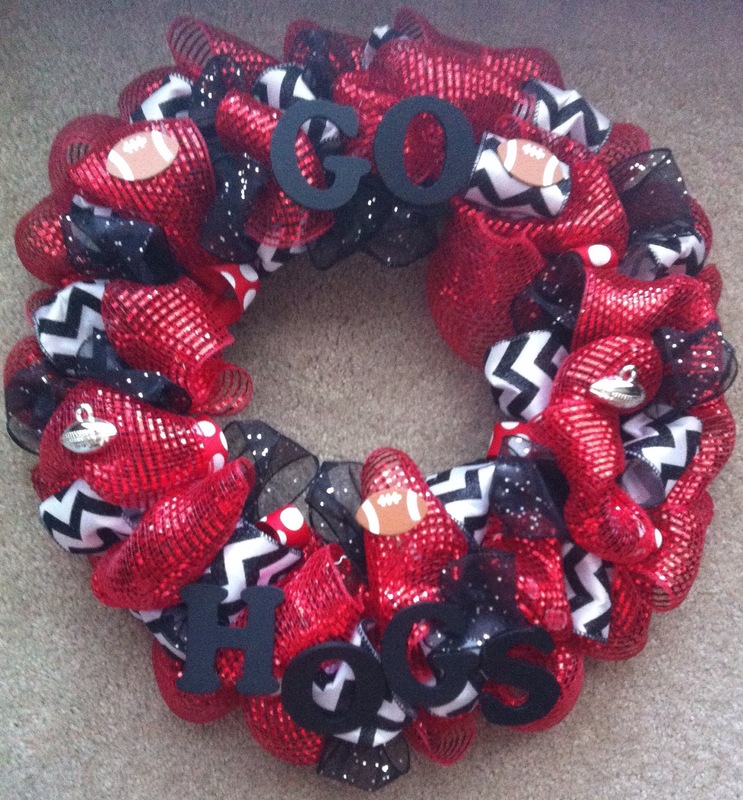 I made a similar (read: the same, but with a different word) wreath for my Arkansas Razorback friend. Since the first two wreaths were a success, I thought that a super appropriate wedding gift for my friend would be to make her a house divided wreath. 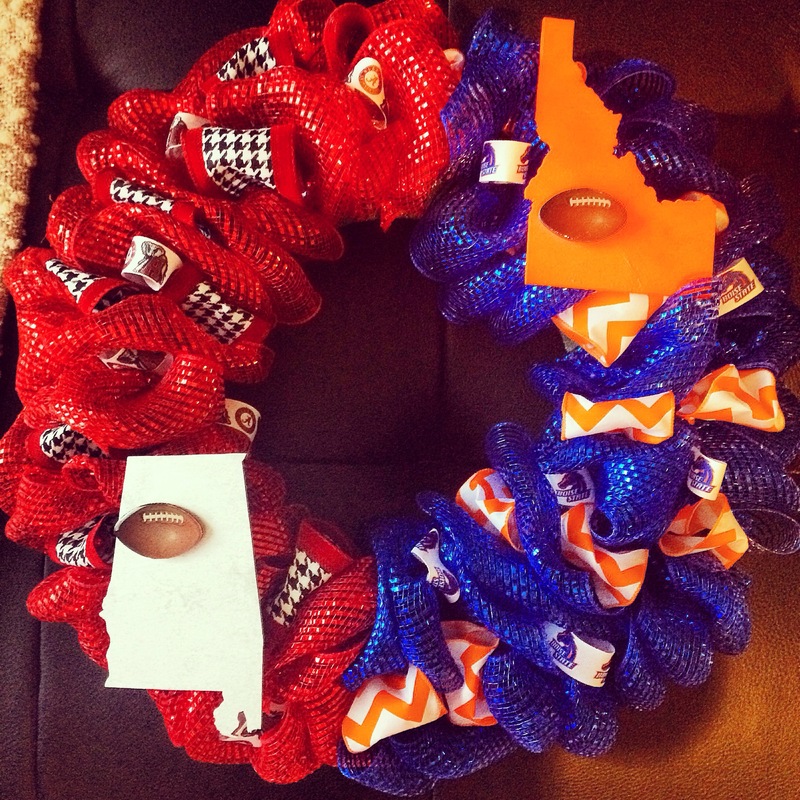 She went to Alabama, he went to Boise State, and they are both die hard College Football fans. I thought it would be a breeze and a half to make this thing. Wrong. First of all, Austin does not carry Alabama anything, let alone Boise State anything. After purchasing ribbon from four different Etsy stores, wooden states from another, and a few trips to Hob Lob, I had everything I needed. One of these trips to Hob Lob resulted in the shadiest exchange transaction I have every been involved in. I found a very nice associate and asked if I could exchange some unused spray paint. Like the responsible adult that I am, I realized that I did not have a receipt and I had forgotten my wallet at home. He suggested I just place the spray paint I wanted to exchange back into the cabinet and grab the one I need. I didn’t know if it would be worse to walk past the registers and out the door or hastily place it in my purse and let the cameras assume I was stealing it. The nice gentleman actually walked me to the door in case there was trouble. Thank you, wonderful hippie man at Hob Lob. Also, I would just like to say how awkward I was purchasing the spray paint in the first place. I felt like I was doing something illegal or wrong and was afraid to get carded (even though my intention was to spray paint a wooden Idaho and I am 28 years old). I began by placing the red mesh on one half and the blue mesh on the other. It was supposed to be 50/50, but it was about a 60/40. I had to make the appropriate adjustments. Next, I strategically placed all of the ribbon throughout the wreath. I spent the next few days obsessively fluffing the ribbon since it kept getting smushed by the mesh. Next was the dreaded state spray painting saga. Since Texans are often ignorant to the geography of all the other states we share this beautiful country with, I had to Google the orientation of both Alabama and Idaho. It’s not that I didn’t ace Geography my freshman year of high school. It’s just that I live in a state where it takes an entire day to drive out of it. So that’s my excuse. If we’re being honest here, I had to look up Arkansas on a map after I already accepted a job and agreed to move there. I did not know that it even touched Texas. This was a relief. But I digress. Everything was fine until I decided to touch the Idaho about 20 minutes after I gobbed paint on it to see if it was dry. I was really grateful that Boise was actually in that region of Idaho (also something I had to Google). I would be able to cover that area up with something festive. “Roll Tide” calligraphy was out of the question because who are we kidding. I decided to add some football stickers where Boise and Tuscaloosa are within the states. I went back to Hobby Lobby and paid for them appropriately. I slapped them on, wrapped the present, and prayed that the bride and groom would enjoy it. Think you have enough newspaper laid down? Well, ya don’t. Whenever you think you have enough hot glue on there, you don’t. Think you can affix wood directly onto mesh? Ha, KEEP DREAMING. How does one keep the mesh from squishing the other ribbon down? Please tell me. I am dying to know. Their beautiful, stunning, and perfect wedding was this past weekend and I think the happy couple liked the wreath. In order to save myself from potential embarrassment, next time I will probably buy a toaster and call it a day.